Your accounts and tax returns can be prepared by our expert teams, claiming all the available allowances to minimise your tax liability, at the same time giving you practical, commercial advice - focussing on your future, understanding your business and helping you and your business to where you want to be. Our team of professionals will rapidly become your trusted advisers for anything to do with your business, helping protect your business and providing stability and growth. Offering you the flexibility of being able to prepare your accounts from a box of bank statements or any book keeping package you decide to use. 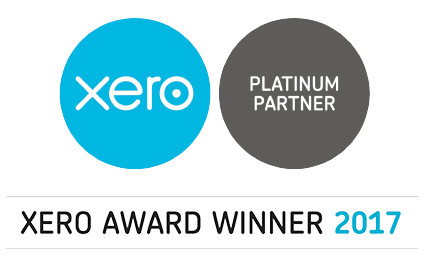 As Platinum Partners with Xero, we can offer a state of the art cloud based book keeping package which will significantly reduce your book keeping time. Whether it’s your company tax return or your personal tax return, we will claim all the available allowances, thereby minimising your tax liabilities file everything with HM Revenue & Customs for you and help you to plan for the future to keep those tax liabilities as low as possible. Understanding the issues that your business faces, it’s what we do. Our clients use our team of professionals as their sounding board for anything to do with their business, valuing our advice and supporting their growth. Many of our clients use our team to process their invoices, bank statements and VAT returns. We also produce management accounts to help you manage your business. Using this service gives you more time to focus on your business and what’s important to you. Our accounting software packages are tailored to our clients specific requirements. We provide a range of bespoke packages that include services from telephone support to quarterly Future Vision meetings to ensure our clients get the most from their investment. With a dedicated on-boarding team, we will ensure that your business is Making Tax Digital compliant and explore the time, access, control and cashflow opportunities available via Making your Business Digital through Xero cloud accounting. We focus on building long-lasting relationships with our clients and their businesses. These close partnerships enable our specialist teams to gather an indepth understanding of our clients' business and the challenges facing them. With this knowledge we deliver a better quality service. We not only provide the bespoke accounting services that enable business owners to concentrate on the day-to-day running of their operations, we also provide support and advice that enables their businesses to grow and become more profitable. As a full service Accountancy firm, we provide holistic advice to our clients drawing from a wealth of experience across all our departments including Tax Planning, Financial Services and Corporate Finance. Our size means we can deliver the service and expertise our clients need quickly, efficiently and cost effectively. Our annual accounts, tax returns and book keeping services reduce pain and hassle leaving our clients confident in the knowledge that what needs to be done will been done. Correctly and on time. We are our clients' first port-of-call when they are in need of help or advice. We are Xero’s largest UK accounting partner, with accredited Platinum status and hold the accolade of 2017 Xero UK Partner of the year. We are also a Sage Accountant Partner with staff accredited to Stage 3. This experience and recognised quality of service ensures we can provide the perfect blend of technology and support for our clients' businesses, whether looking for a simple compliance solution to HMRC's 'Making Tax Digital' rollout or wishing to take full advantage of the opportunities afforded by online business solutions. Our commitment to innovation allows us to offer the latest online, cloud-based accounting packages invoicing/billing, accounts payable, bank reconciliation and bookkeeping, alongside support for industry standard desktop packages too.